Animal Pros in Greater Nashville and Middle Tennessee offers a wide variety of services to handle any nuisance pest animal problem. 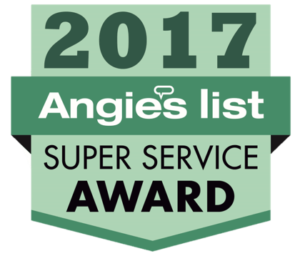 This includes wildlife removal and control, animal proofing, rodent removal, bird control, bat removal, dead animal removal, odor control, clean-up, and attic restoration, crawlspace cleanout and much more. Animal Pros has experienced state certified professionals available to take care of your pest wild animal problem quickly, effectively, and affordably. We use humane catch-and-release and environmentally safe methods whenever possible. Animal Pros offers 24/7 immediate wildlife services for times when it is needed most. Oftentimes animal problems occur at night, when most city departments are closed or unavailable, and immediate help is needed. Rely on the pros, at Animal Pros, for professional wildlife services. Animals can cause expensive damage to homes in a short amount of time. They can be diseased and present health hazards and be a physical danger to you and your pets. Never attempt to handle a wild animal without the help of a professional. Clients that do, often tell us they wish they had contacted us first after failing to take care of the problem on their own. Sometimes even making the problem worse. Animal removal and repair requires special training and experience. Once the animals are removed from your home, you may be left with the damage that they have created. Our professionals at Animal Pros can help you with repairs to your home. We can take care of contaminated insulation replacement, remove animal odors, and disinfect and sanitize the area. We can also take care of roof repairs, repair of openings, and animal exclusion providing a permanent solution to your animal problem. Animal Pros can help you to remove animals from your yard or property. Animals will often dig up your lawn or garden in search of food and grubs. They can cause a lot of damage in a short period of time. Raccoons will get into your garbage cans and destroy your yard in search of food. 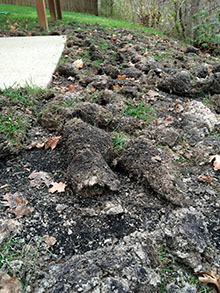 Skunks will tear up your lawn in search of grubs. We can perform animal trapping to remove pest wildlife from your property. During certain times of the year, property and yard damage will increase and can be costly. Contact a Animal Pros specialist to stop animal damage to your yard or property today.